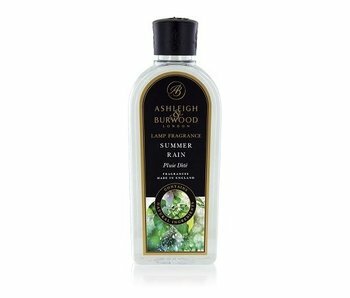 Ashleigh & Burwood Herb Garden - 500 ml. Gently inhale as you wander through a charming garden. Herbaceous notes of thyme and verbena spring from the earth. 500 ml. Baby Powder - 500 ml. Opening top notes of powdery rose and gentle geranium blend into a soft floral heart on a luxurious, creamy base of musk and vanilla. Fresh Linen - 500 ml. A wonderfully clean and airy fragrance, with elements of aloe and fragipani combined with notes of lavender and citrus. This fragrance evokes the feeling of catching the scent of clean white sheets blowing in a light breeze. Green Bamboo - 250 ml. The light, gentle scent of green bamboo is complimented with notes of cucumber, lemongrass and bergamot. As if smelling freshly cut grass, this extremely pleasant, botanic scent will bring some of the outside in. Green Bamboo - 500 ml. Green Tea - 500 ml. The scent of sweet, clean green tea fragrance with distinctive notes of bergamot, fresh basil and chamomile. Hints of jasmine add a gentle floral element to this ambrosial, fresh scent. Neutral fragrance oil 250 ml eliminates nasty smell and is also used for diluting other fragrance oils. Burning Time: approx. 10 hours with a large lamp (+ 20-25% with small lamps. Neutralises odours in the air whilst remaining unfragranced. Ocean Breeze: Bring the refreshing feel of sea air into your own home with this crisp, clean, balmy fragrance. Warm citrus notes combine with hints of peppermint, alyssum and frangipani to create a wonderfully exhilarant scent. This flakon fragrance lamp oil contains only natural ingredients. 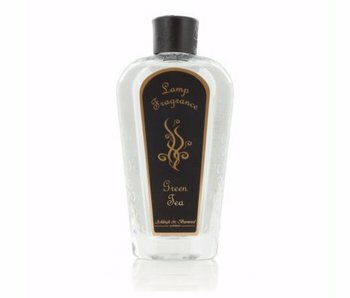 The comfortable scent of soft, clean cotton mixed with rose, violet and warm musk. Garden Mint fragrance lamp oil with the fresh-sweet smell of a sun-drenched traditional country garden with mint, fruity apples and watermelon. This flakon fragrance lamp oil contains only natural ingredients. The fresh scent of citronella, of which the pointed is toned with the delicious rosemary. This Summer Rain fragrance lamp oil contains only natural ingredients. it has the scent of white flowers with a hint of grasn and some notes of musk. Fragrance Fresh & Natural, for fragrance lamps of Ashleigh & Burwood. These fragrances are also suitable for the catalytic combustion lamps of the brands Lampe Berger and Millefiori.